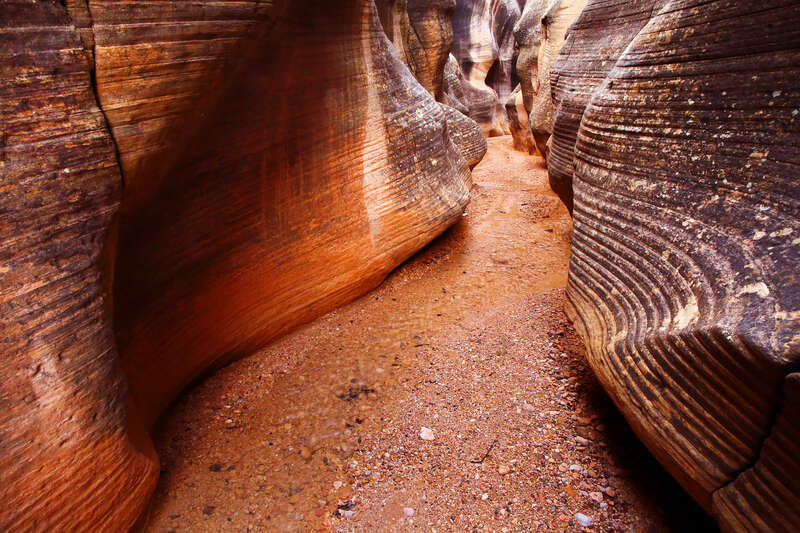 Range Creek meanders down a remote canyon just above the Book Cliffs in Eastern Utah. My brother and I decided to explore the area, since we’d never driven past the Book Cliffs before. Access to the canyon was remote; it involved hours of driving on lonely, jaw-rattling dirt roads before we found Range Creek. The northern road, which we attempted first, was buried in yet-unmelted snow. We were thus forced to improvise. Driving around in my brother’s 1980 pickup, we passed mile upon mile of high desert, just begging to be explored. It’s big country out there, just busting with possibility. Watching it all drift past made me wish I had a few months to spend up there, instead of a few short hours. After finally finding access into Range Creek, we spent about half the day hiking over boulders and through washes in the canyon. We picked our way around a fair amount of cryptobiotic soil. We happened to hit the area just in time for wildflower season. Sego lilies, purple locoweed, and red indian paintbrush sprouted all across the canyon. A pristine Fremont pictograph hides in a small alcove on the side of Range Creek Canyon. Antelope Bitterbrush thrives on dry mountain slopes throughout the intermountain West. The shrub provides an important source of food and shelter for both large and small animals. Native Americans used poultices and washes made from the leaves for rashes, insect bites, and the measles. Tea made from the leaves and berries was used as an emetic and laxative. The day’s crowning moment arrived as we hoofed our way up the side of the canyon. Just ahead, my brother reached a small, sheltered ledge and turned around. “This would be the perfect place to find some pictographs,” he declared. “Yeah right,” his expression said. But then he finally turned around. Due to the panel’s precarious location and difficult access, I wondered if we may have been the first humans to lay eyes on it since the Fremont vacated the area. About 15 figures painted in pale shades of yellow-green on the rock wall. Many had faded, to the point they were barely recognizable. In some places the rock had long since flaked away, taking the painted figures with it. The chartreuse substance used by the artists typifies a rarer form of pictograph painting. 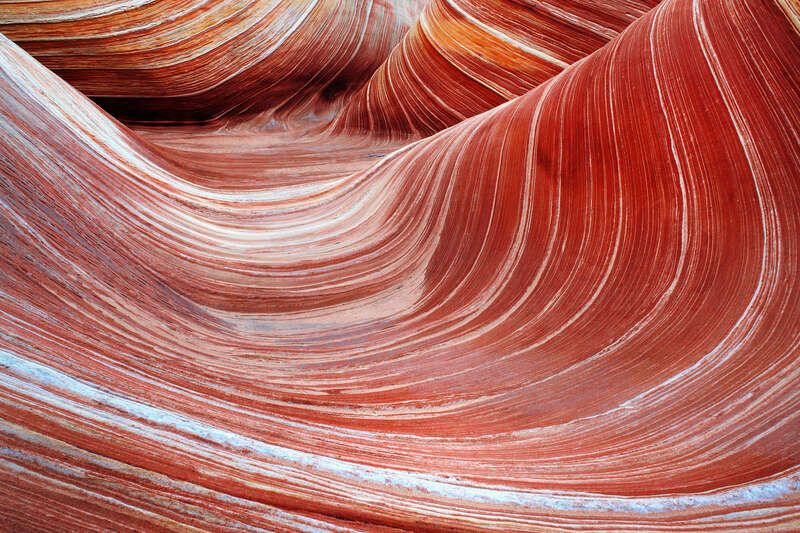 Usually they used a red pigment, or chiseled through the desert varnish into lighter-colored rock beneath. The image’s splayed fingers and toes, along with its horned head, indicate that this was probably painted by the Fremont Indians sometime between 700 and 1200 A.D. As we climbed and scoured the surrounding rocks for more pictographs, I kept trying to imagine what it must have been like to live there over a thousand years ago, scratching a living out of the dry desert clay. We became so absorbed in searching for more pictographs that we failed to notice the sun setting. On the way back to the truck, we crossed a small table-like land formation about halfway down the side of the canyon. Right in the middle, we crossed a suspiciously circular jumble of rocks: likely a Fremont pit house. Unfortunately, the little remaining light was fading fast. There are many more archeological sites scattered across Range Creek Canyon. Apparently the Fremont were rather fond of this area. I can’t say that I blame them. With its tall but relatively accessible cliffs, quiet, shady feeder canyons, and green riparian zone, this canyon is quite captivating. Access to Range Creek Canyon is tightly regulated by the Utah Division of Wildlife Resources. Camping is not allowed beyond the access gate. 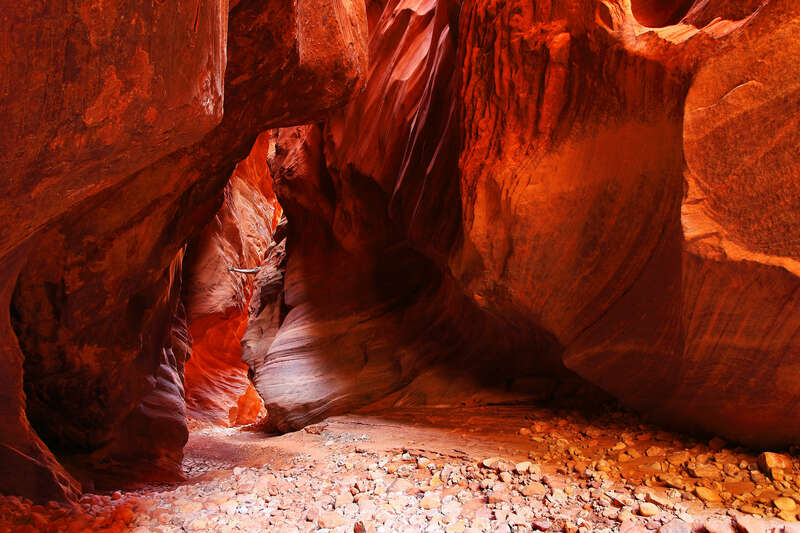 To hike inside the canyon, you must purchase a permit prior to visiting. They are not available at the gate or inside the canyon. Only 28 people per day are allowed inside the canyon. Permits cost 5 dollars per person per day, for up to 5 consecutive days. Many of the surrounding canyons and land are privately owned, so watch where you go and respect all posted signs. The northern entrance to Range Creek is typically used. To get there, follow US Highway 191 south from Price for roughly 30 miles until you reach Utah Highway 124, a small paved turnoff heading east towards Horse Canyon. Follow Highway 124 as it winds up Little Horse Canyon for about 14 miles. Turn south into Range Creek Canyon and follow the road until you reach the gate. There is plenty of space to park and camp.